The Waterway Hi-Flo pumps are designed especially for hot tubs and spas. Offering a larger diameter wet end the higher volume of water these pumps push through makes the 60% more efficient than the centre discharge models. They also have an internal bsp thread on the discharge port for multiple union options. 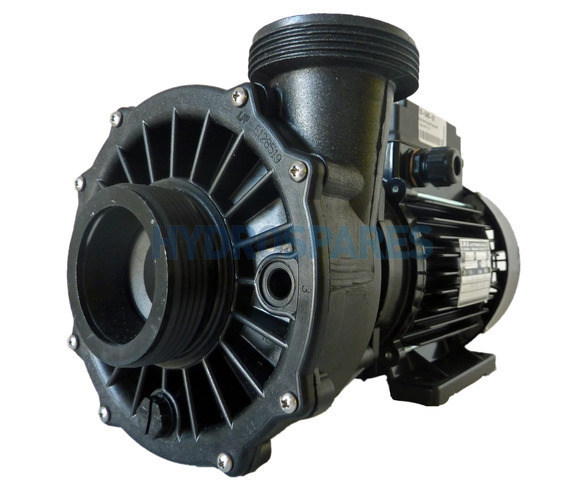 An ideal pump to replace the discontinued HydroAir Magnaflow HA440 single speed pumps 40-4409V2. The Hi-Flo pumps are supplied without a cable. We recommend re-using the cable from your old pump to ensure correct fitment to your spa pack. This pump doesn't come with unions. Please see related listings for choices available.